This is the first of a series of articles about the Nessworthy family of Tyneside. We have already discussed the possible origins of and the development of variations in the spelling of the surname ("The Nessworthy Genesis"). We also acknowledge that some branches of the family still use the single 's' variant of the spelling to this day. It is clear from the historical records that over the years individuals and indeed whole families could see the spelling of their surname change backwards and forwards many times. Therefore in an attempt to maintain conformity and to prevent confusion, we have decided to use the double 'ss' spelling throughout, once the family's domicile in the north east of England had been established. We are also aware of the much earlier roots of the family tree in the south west of the country but these have not been explored further except where specified. Matthew Nosworthy was born in Staverton, a village in the south of the county of Devon. It lies in the valley of the river Dart, three miles from Totnes and seven miles inland from Torquay. The population over the first half of the nineteenth century was just over 1000. The principal sources of employment were in agriculture and the local slate quarries (1). Matthew was the sixth of nine known children of Thomas Nosworthy, who worked as a labourer, and Grace Palk. They had been married in the neighbouring parish of Buckfastleigh in August 1808. The actual date of Matthew's birth remains unclear. The ages which were recorded on various documents throughout his life point to the period anywhere between 1817 and 1824. There is a local parish record giving the likely date of his baptism as December 26th 1819. There was a history of seafaring in his immediate family so it was natural that Matthew would follow his older brothers John (born 1813) and Robert (born 1816) into the Merchant Marine. There is no clear evidence however to show when he first entered service although this must have been in his early teens. The earliest records suggest his initial port of embarkation to have been Dartmouth. By the time he reached his maturity, his 'centre of attention' had moved from the south west to the north east of England. There are, though, hints that he never fully lost contact with his Devon roots. 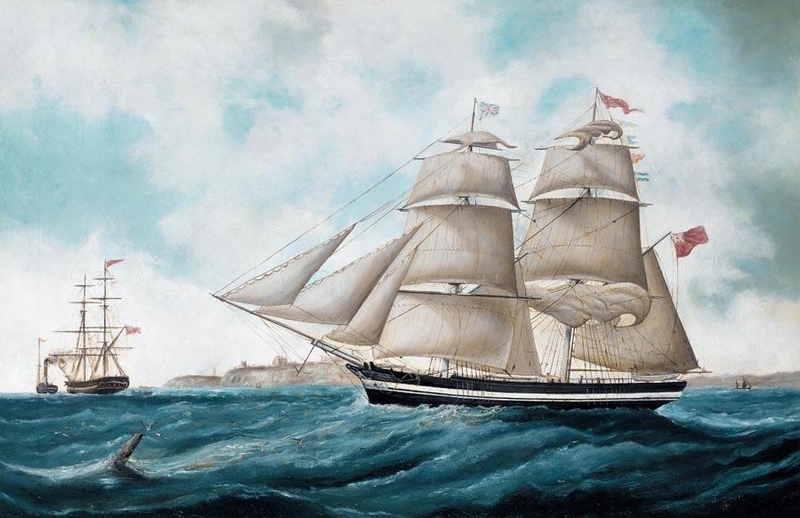 The first voyage for which records remain is dated December 1842 when (as an annotated 20 year old) he was part of the crew of the vessel Lady Stewart under Master H. Sims. This 222 ton brig had been built at Stockton on the river Tees in 1820 and plied the route between Tyneside and Hamburg carrying coal. The next entry, August 10th 1843, shows him aboard the vessel Ophelia White. This 259 ton snow had been built in one of the Sunderland yards in 1834 (3) and spent most of its time on the route between the Port of Shields and London carrying coal. However, there were occasional voyages when it ventured further afield with cargoes of timber from ports including Riga in the Baltic and, as here, across the Atlantic from Quebec, Canada. There is some evidence of activity on both banks of the river Tyne going back two millennia. The Romans built a fort on the southern side to service the construction and maintenance of Hadrian's Wall. In the middle ages the lands and mining rights were under the control of the clergy. North Shields was established by the Priory of Tynemouth. The settlement which became South Shields was founded under the purview of the Prince Bishops of Durham in 1245 and developed as a fishing port. 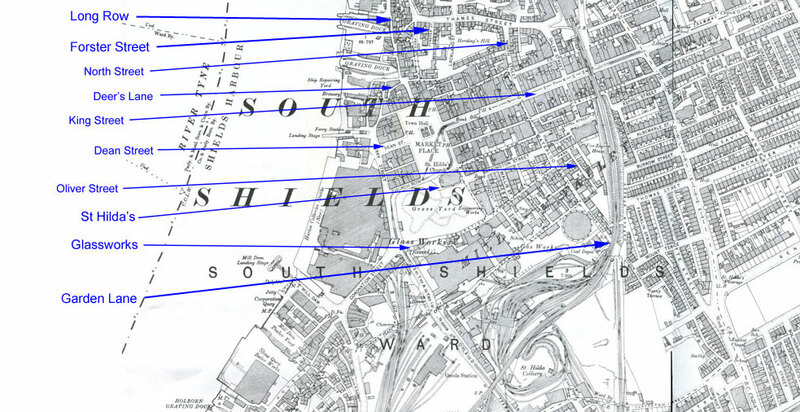 In the seventeeth century, South Shields consisted of a relatively narrow strip of land which spread along the east bank of the river. Shadwell Street ran along the edge of the peninsula from its junction with Wapping Street and Long Bank in the west to the point where it joined Pilot Street by Salmon's Quay. The spread of this development is clearly seen on the accompanying maps. From medieval times the principal industry had been salt production (in 1768 it was the site of 200 salt pans) and later in the manufacture of glass. This was gradually overtaken by occupations devoted to shipbuilding and seafaring. In the middle years of the 1800s, the town expanded and developed inland. The streets in the newer parts were wide, well lit with gas and paved but those on the riverside, remained narrow and inconvenient, and slowly deteriorated. Prior to the 1840s, the docks at North and South Shields formed part of the port of Newcastle upon Tyne (5). 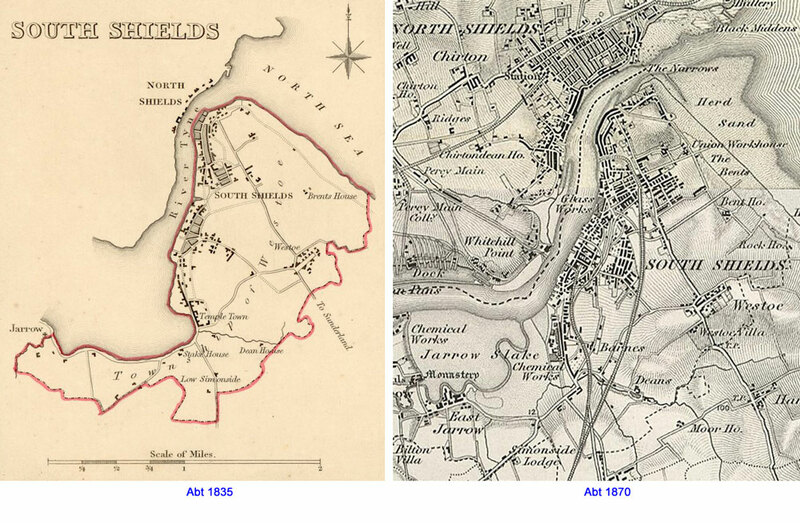 Then on April 6th 1848, North and South Shields together were hived off into a distinct entity which was known as the Port of Shields. In 1850, the Tyne Improvement Commission was established to oversee structural improvements and deepening of the river. 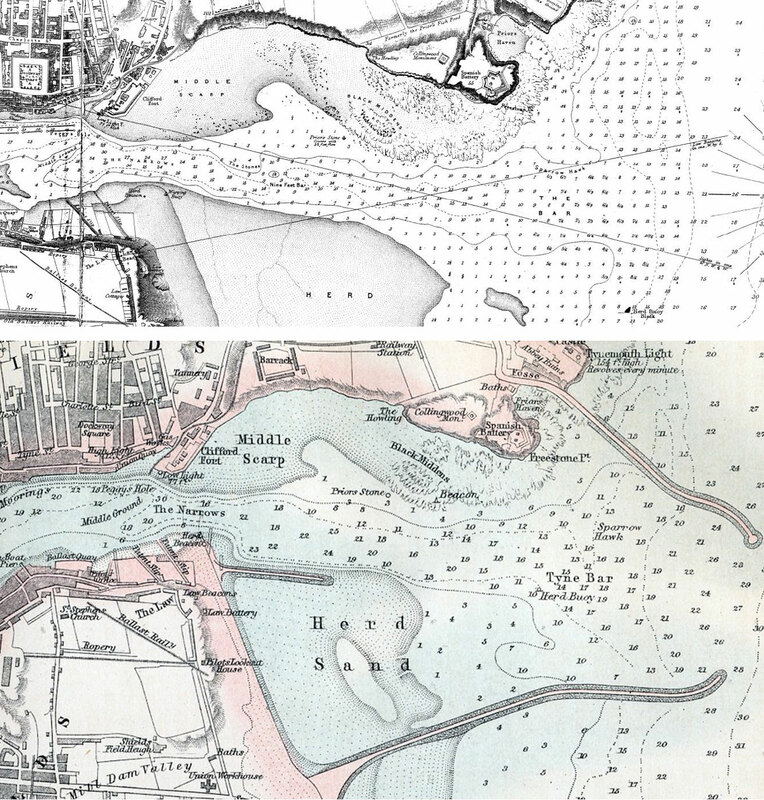 Larger dock facilities were created on both sides - Northumberland Dock at Howdon in 1857 and Tyne Dock between Jarrow and South Shields two years later. Some forty years after this, the ports on either side of the river were separated again, each having its own Custon House, Mercantile Marine Office and Local Marine Board. Coal has been an substantial resource and trading commodity in the North East for centuries. There is evidence that the Romans used it as a fuel. There were widespread deposits throughout Northumberland and Durham, much of it shallow and easily accessible. 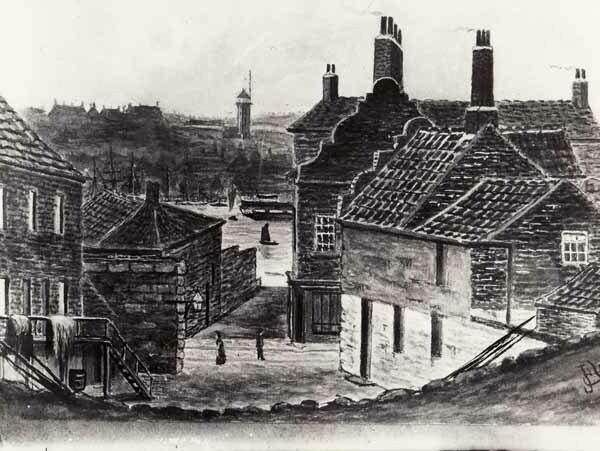 As early as the thirteenth century, Newcastle became an important centre for this trade because it was a seaport. One of the town's problems lay in the fact that the river Tyne was shallow and difficult to navigate and the main coal fields lay inland of the old Tyne bridge crossing. Initially coal was brought from the mine to points along the river edge in horse drawn wagons called chaldrons. The word chaldron (7) became used as the unit of measure (now obsolete) for coal. Initially deemed to be the safe cargo for a horse to draw and not damage the roadway, it was a unit of volume rather than weight. There was no uniform standardisation and it had different dimensions in different regions of the country and varied through the ages. There were two commonly recognised versions, the Newcastle and the London chaldron. In 1694 the Newcastle chaldron was fixed by law at 5,940 pounds (or 2690 kg). From the riverside, the coal was loaded on to shallow draft barges called keels (8), operated by keelmen for transport up the river. A keel carried about 20 tons of coal per load. Coal was then loaded onto the waiting collier at berths in South Shields and across the river in North Shields. In the middle of the eighteenth century, deeper mines were sunk further away from the river. In many areas, coal was moved from pit to river by wagonways. In some places, huge wooden piers, called staithes, were erected which projected out over the docks. The wagons could be run up to onto the staithes and emptied into the hold of the collier without the need for the keelmen. Prior to the early eighteenth century, the Charter rights of Newcastle decreed that only freemen of the town could build ships on the Tyne. The construction of ships in South Shields was prohibited. In defiance, Robert Wallis started a shipbuilding and repair yard near Coble Landing in Pilot Street. The Corporation took court actions against Wallis but lost which opened up the possibility of rapid acceleration of the industry in the town. Initially the ships were built of wood which saw a swelling of the numbers of carpenters and shipwrights. By 1830, iron vessels began to appear with Thomas Marshall's yard building steam driven tugs. By 1820, nearly 300 vessels belonged to the port whereas only four had been registered in the previous century (10). The two most commonly used types of ship were the brig and the snow. The brig first made its appearance in the sixteenth century and rapidly became the beast of burden of the merchant fleet. In the eighteenth century they became much favoured by pirates, particularly in the caribbean, and as naval vessels when they could be mounted with canon and carried a much larger crew. Being cheap to build and operate, large numbers of Collier Brigs were soon pressed into service transporting coal to London by sea. Large numbers travelled together in convoy to ward off the attentions of pirate vessels. A contemporary account described "the hull is bluff with no ornamentation, with no beakhead or figurehead." Life on board was extremely harsh with little comfort or sanitation and dirt and grim from the coal dust. The latter was all pervading coating the crew, the decking and sails and soon these fleets became known as the 'Black Armada'. The streets of South Shields were named as an acknowledgement of this coal trade with the capital. Shadwell and Wapping were both dockland districts on the Thames where cargoes were unloaded. The brig and the snow were of a similar design and structure with two masts and weighing up to 1000 tons. The difference occurred with the sails and rigging (11). The main sails of both were square but the snow had a third much shorter (try-sail) mast immediately behind the main mast, making it easier to handle in adverse wind conditions. The snow was relatively fast, reaching about ten knots in favourable weather, and was easily manoevrable because of the slim lines and shallow draft. It could be handled by a relatively small crew (many colliers had less than 15 hands), hold a reasonable quantity of cargo and deliver it quickly, all of which made it a popular vessel with merchants and owners. It has been said that the carriage of coal from the Tyne was so profitable that the outward journey covered all the costs. However, the vessel required weight in the hold (ballast) to keep it upright for the return. For many years this could consist of sand which was used to service the Shields glass foundaries, other cargoes from the continent when available or simply rubble. Much of the latter was dumped off shore. By the early decades of the nineteenth century, the days of sail were numbered. The invention of steam and the introduction of metal plate made the design of iron ships which did not depend upon the wind and weather for motive power feasible. Although a sailing vessel could be ten times cheaper to build there was already a shortage of wood for construction, most of which was imported from the Baltic or North America. Iron vessels also had the advatange of being able to use sea water as ballast for the return journey. The route the colliers took from the Tyne to the European ports was quite well defined. They would follow the coast south, fairly close in shore until they arrived at the prominence of East Anglia somewhere off Lowestoft or Harwich. They then travelled due east to the coast of Holland. To reach Hamburg, they would trek along the outer fringes of the Dutch islands until they reached the mouth of the Elbe. The journey back proceeded in the opposite direction, sometimes broken by a lay over at Gravesend on the Thames estuary. It was a journey fraught with hazard from inclement weather, adverse tides, treacherous rocks and reefs and the sheer volume of other shipping. Many of the points of danger were immortalised in versions of old mariners' shanties such as "First the Dudgeon, Then the Spurn". The mouth of the river Tyne was particularly unpredictable and dangerous. On the north bank close inshore were the Black Midden Rocks which were submerged at high tide. 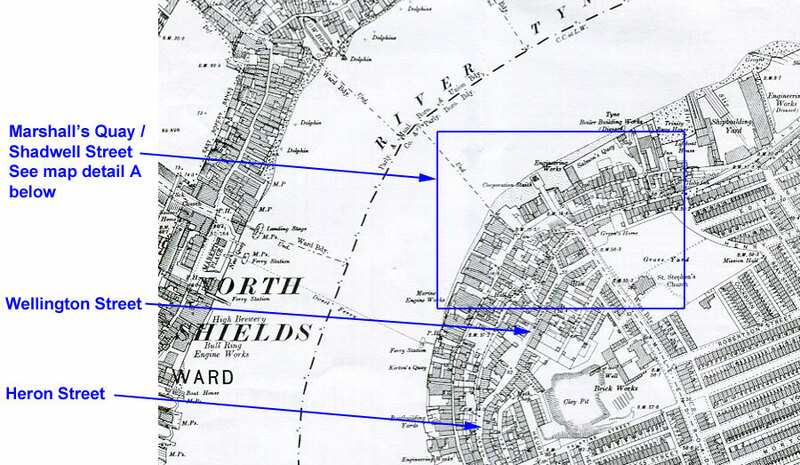 On both sides of the estuary were shifting sandbanks (Middle Scarp to the north; Herd Sands to the south) with a variable connection running across the river between the two (the Tynemouth Bar). The navigable channel was narrow and depending on the strength and direction of the prevailing wind and current, there could be a twelve feet difference in depth between consecutive high tides. 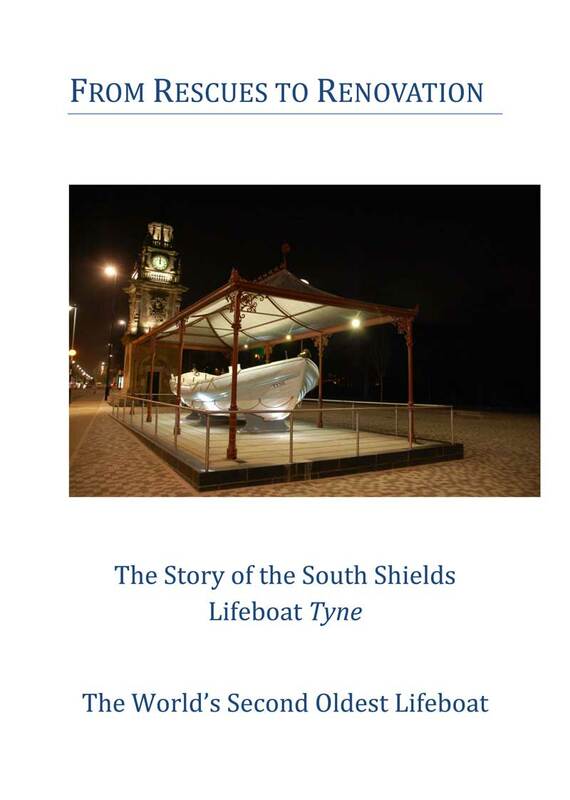 Such was the regularity and appalling loss of life, shipping and cargo that in 1789 South Shields became one of the first centres to design a rescue boat and establish a lifeboat service to cover the river mouth. Two names are enshrined in local history with this project: William Woodhave, the Clerk to St Hilda's Parish, and Henry Greathead, a local boat builder. Weather conditions were regularly bad in the North Sea. Lifeboat rescues came to be immortalised in the story of Grace Darling and her heroic rescue of survivors from the wreck of the SS Forfarshire. This ferry, carrying sixty people and cargo from Hull to Dundee, foundered on the Farne Islands off the Northumberland coast in September 1838. 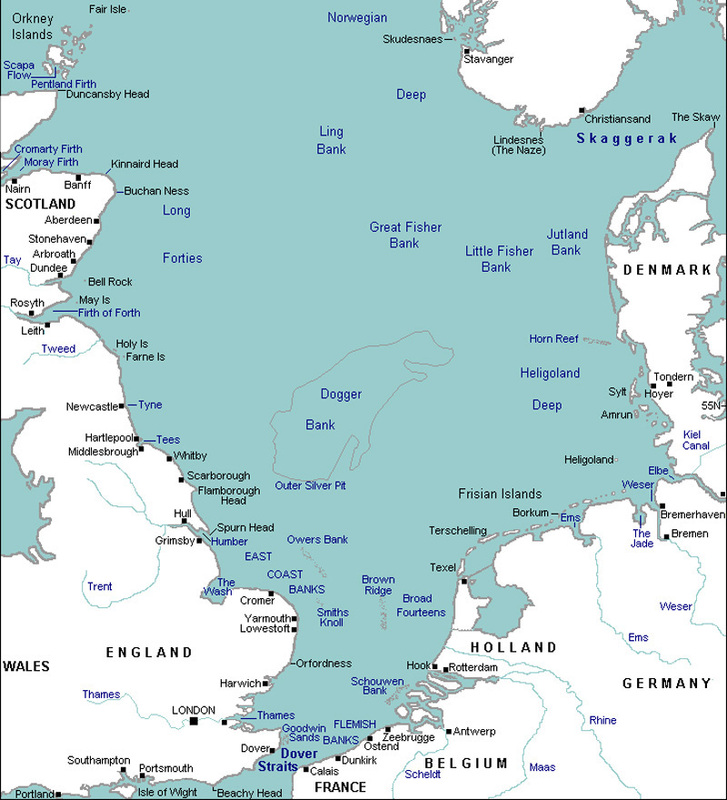 Closer to home, the Tyne estuary was lashed by extreme gale force winds over the first two weeks of January 1854. During that time, the lifeboats from both North and South Shields were launched to over 50 vessels which had been driven onto Herd Sands and the Black Middens. Another incident, known locally as 'The Great Gale of 1861' dealt with mulitple wrecks during Saturday February 9th 1861. Plans for the creation of a safer haven in the Tyne started as early as 1850 when the Tyne Improvement Commission was formed. Approved by an Act of Parliament 1852 this called for the construction of two massive stone piers reaching out from the north and south aspects of the estuary topped with lighthouses. A subsidiary structure, the Groyne or Herd Pier was placed closer to the mouth of the river to prevent the beach being swept away in the tides. The engineering task was enormous and was repeatedly breached by weather and the force of the tide. Although promised within seven years, the project was not completed until 1910 (56 years after commencement) (13, 14). Ashore in South Shields at the beginning of the 1840s, Matthew Nessworthy met Mary, the daughter of Robert and Elizabeth Ridley. She was born in 1823. 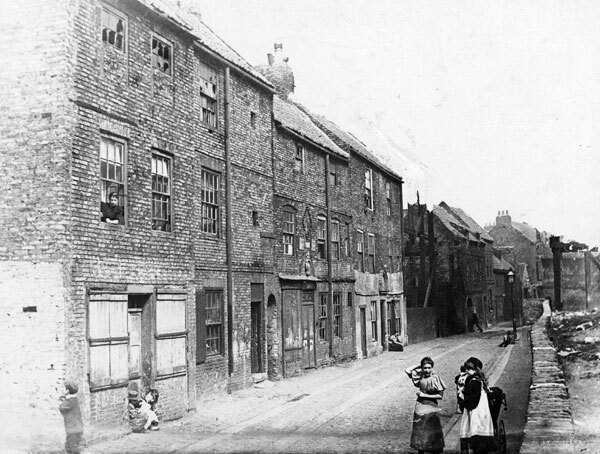 The family lived in Stobb Lane, a small passage leading off Shadwell Street close to the mouth of the river Tyne. Robert was a shipwright working in one of the many small yards which were dotted along the banks of the estuary. Matthew and Mary were married at St Hilda's Church, South Shields, on December 18th 1842. The bride was 19 years old. Mary had seen her oldest brother Robert (born 1816) marry Frances Ord a few months earlier. Her next oldest brother William, two years older than she was, married Christiana Cay in September 1846. Shortly after their marriage the newly weds moved with the Ridley family into a dwelling at number 2 Marshall's Quay. Matthew and Mary's first two sons, Robert Ridley Nessworthy in January 1845 and James Ridley Nessworthy in September 1846 (both entered as 'Nursworthy' on their birth certificates), were born in the house. This narrow wynd which led steeply down from the western end of Shadwell Street to the shoreline was probably named for Thomas Marshall's Shipbuilding Yard. The houses in the area were already showing signs of wear and overcrowding. The returns from the England Census of 1851 show Marshall's Quay to possess six dwellings, one of which was empty. The rest were shared by between two and six families each: a total occupancy of the five houses of 71 people - 30 being children of aged 10 or under. The primary two (male) employments were as mariners (eight with an additional four mariner's wives heading families where the husband was absent) and as shipwrights (five). 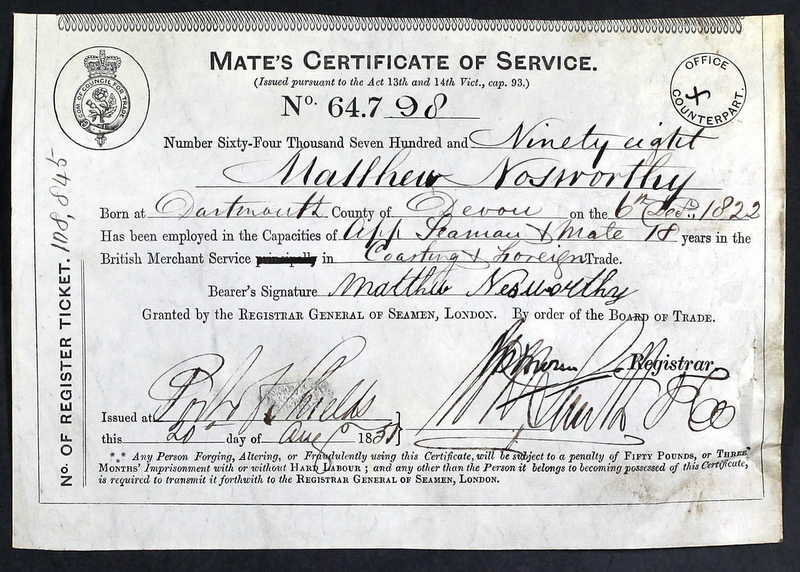 In the summer of 1851, Matthew was granted his Mate's Certificate of Service at the Port of Shields. This marked the completion of 18 years of employment both as an Able Seaman and as a Mate. It also suggests that, if his recorded age was correct, he had entered service at the age of 10 years and 3 months. He had spent six years as an apprentice seaman aboard the 240 ton vessel Red Rover. He then spent a year as a mate on a ship out of St John's, Canada. From 1841 onwards, the ships were registered to the Port of Shields. The final vessel before he received his certificate was the Robert & Mary. The certificate defined this service in the 'Coasting and Foreign Trade' routes. During the course of the decade, Matthew was appointed skipper of a number of vessels which plied the routes between Tyneside and the near continent, usually carrying a cargo of coal. The table below shows his cargoes (measured in chaldrons) and destinations recorded for the four years between 1856 and 1860. They were predominently spring and summer voyages and varied between Hamburg, Germany and Le Havre in France. On his return from the latter he would sometimes make a stopover in Folkestone on the south coast. Matthew set sail for Le Havre again in early April 1860. After discharching its cargo and leaving port, Ocean's course took it west along the north Normandy coast. On Wednesday April 25th 1860, it foundered on the shoals off Grandchamp near Isigny-sur-Mer. The vessel broke up but Matthew and his crew were fortunately rescued. Meanwhile at the start of the decade Mary remained at home looking after her three children. Third son Matthew had been born during the early months of 1849. As the years went by the size of her family grew steadily. Next in line, William, appeared in the spring of 1852. Two years later, Mary gave birth to their only daughter, Isabella on December 22nd 1854. The baby girl was poorly from the start and she was baptised at St Stephen's Church, South Shields within a month. She was diagnosed as suffering from hydrocephalus (17) (water on the brain) for which there was no definitive treatment or cure. The condition was an accumulation of cerebrospinal fluid within the skull which caused a rapid expansion of the girth of the head and increasing pressure on the brain. Her condition deteriorated and she died on June 15th 1856 aged sixteen months. Matthew was away from home at the time. Her aunt, Christiana Ridley (wife of Mary's brother William), was present when she died. Two more sons followed: John, born in 1857, and Ridley, born on April 10th 1859. Ridley apparently died in early childhood. His name appears in the 1861 England census although no records of his death have yet been discovered. There were marriages to attend during the decade. Mary's sister, Barbara Ridley, married Thomas Weightman, a shipwright, in 1855. They set up home in Long Row, the southerly extension of Wapping Street which led into South Shields Market Square. Her younger brother, John Ridley, also became a shipwright. He married Mary Jane Barlow, a girl from North Shields, in 1858. 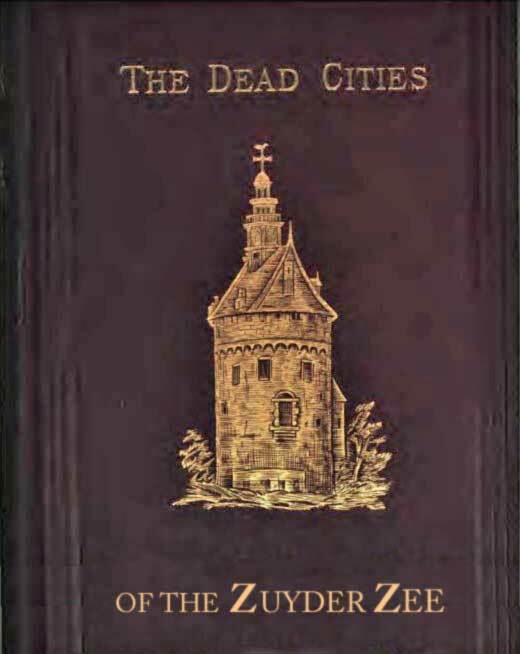 The 1860s - and a death on the ocean waves. The Shadwell Street area remained a tightly knit community. In 1861, the Nessworthy's nextdoor neighbours were William and Elizabeth Templeman who became long term family friends. William had been born in Dundee, Scotland and was a seaman and fisherman. His oldest son, William, was a sailmaker, the next, James Miller, a shipwright. This family also provided a genealogical link to the Simpsons, the other main family in this section of our magazine. William's granddaughter, Elizabeth married Matthew Fitzpatrick, whose grandmother was Eleanor Davis (her photograph appears in the article Of Offenbergs and Welches). Eleanor and her first husband, seaman John Lenney, lived in Marshall's Quay for some time during the 1840s. Matthew was soon in charge of another craft. The brig Venus replaced the lost Ocean on regular runs to Le Havre for the next two years. Once again Matthew had to negotiate stormy weather and in the gales of mid December 1863 he had to put into the port of Ramsgate for repairs and to be supplied with a new anchor and chains. In 1865, he was about to take command of the recently launched snow Palladium for the route to Hamburg. It had been built at Sunderland and weighed in at 200 tons. It was 93 feet in length, 24 feet in width and had a draft of 14 feet 5 inches. The vessel was stationed at Northumberland Dock, North Shields. The first known sailing was on September 12th 1865. The early years of the new decade were hectic with the house accomodating an increasing number of babies. Mary was to bear three more sons for Matthew. Thomas Weightman Nessworthy (named after Mary's sister Barbara's husband) was born in the spring of 1861. 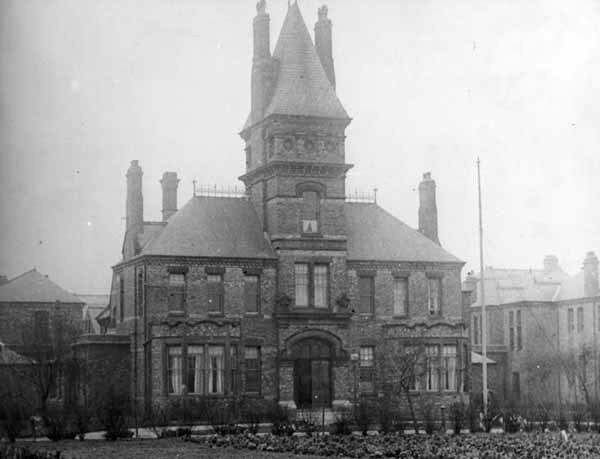 The family was then able to celebrate the marriage of their first born son, Robert Ridley Nessworthy, to Elizabeth Young at St Hilda's Church, South Shields, on May 19th 1862. The newlyweds moved into their parent's house in Marshall's Quay. That autumn Elizabeth gave birth to a daughter, Mary Ann. Mary and Matthew's next son, Ambrose (a recurrent Nosworthy family given name from Devon), arrived on November 29th 1863. Finally Charles was born on June 3rd 1865. In between, Robert and Elizabeth's first son, a boy they named Matthew after his grandfather, was born on January 2nd 1864. Sadly, the boy did not see his first birthday and died on December 2nd. He had been suffering from convulsions for a fortnight. Elizabeth was already midway through her next pregnancy and duly gave birth to another boy on May 2nd 1865. He was baptised Matthew in honour of his grandfather and dead sibling. So, for a time, Robert and Elizabeth's two sons each had uncles who were younger than they were. Mary died on Sunday, August 19th 1866 in Hamburg. She was 41 years of age. The only indication of her demise was a two line notice in the deaths column of the Newcastle Courant the following week. No other record (such as a death certificate, burial or inquest report) has been found to confirm how she died. At the time, Hamburg was a city-state. 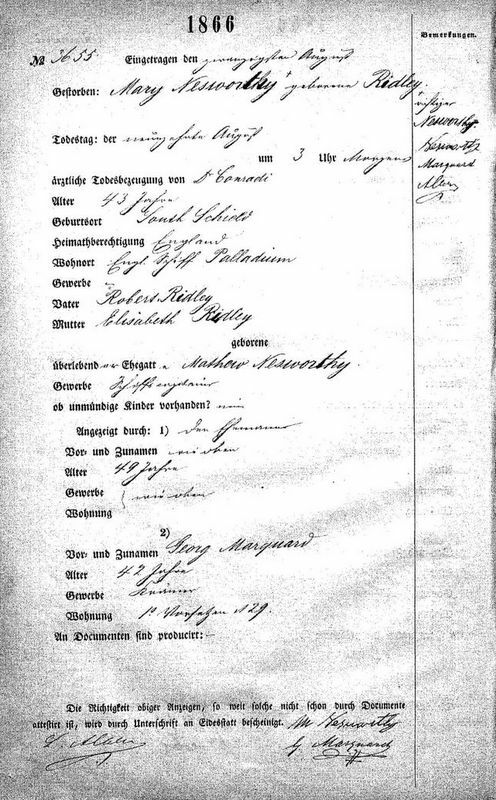 Records prior to German unification in 1871 are very sparse. There is also no clear evidence to show what she was doing in Germany in the first place. It is known that the wife of the skipper travelled on ocean-going vessels on occasions to act as cook and to provide nursing services if needed. The Palladium had left the Port of Shields on August 12th which meant it had only recently arrived in Hamburg at the time of her death. Presumably she had been on board for this trip. Had she been taken ill at sea? Had she met with an accident in port? Were there other suspicious circumstances. And what of her young children (including Charles who was not yet 12 months old)? Mary had probably relied on her daughter-in-law, Elizabeth, who was still living at the family home and her neighbours, the Templemans, for child care. After the death of his wife, Matthew returned to the sea almost immediately. His first recorded voyage was the round trip to Hamburg aboard Palladium which he completed on September 28th 1866. This was quickly followed by another finishing on November 6th 1866. During this time, he was probably aware of and in contact with his older brother, Robert (1817 - 1891). Robert lived in Torquay, Devon but was skipper of the coaster Dispatch. Although baptised Nosworthy, some newspaper reports now suggest that he too was using the Nesworthy form of the surname. The Dispatch was a 94 ton schooner built at Dartmouth in 1820. It plied the route between Devon and various ports (Hartlepool, Middlesbrough, Grimsby) on the east and north east coast of England. Robert was caught up in the severe storms (which the local press described as 'a perfect hurricane' (19)) which affected the North Sea at the beginning of 1867. The Dispatch, laden with ballast, was making for Middlesbrough. Early on the morning of Sunday January 6th it was washed ashore on Middleton Sands at the entrance to Hartlepool. The crew were rescued by the pilots' lifeboat. Later in the day, the schooner was stripped of its sails and moveable items and was retrieved without a great deal of apparent damage. A month of so later when returning from Hartlepool to Torquay, Robert had to make an emergency stop at Ramsgate to stop a leak. Mary Bainbridge had been a widow for four years when she married Matthew Nessworthy. She was born in South Shields in 1836, the daughter of mariner Henry Bainbridge and Elizabeth Scott. She is known to have had two older brothers and two younger sisters. 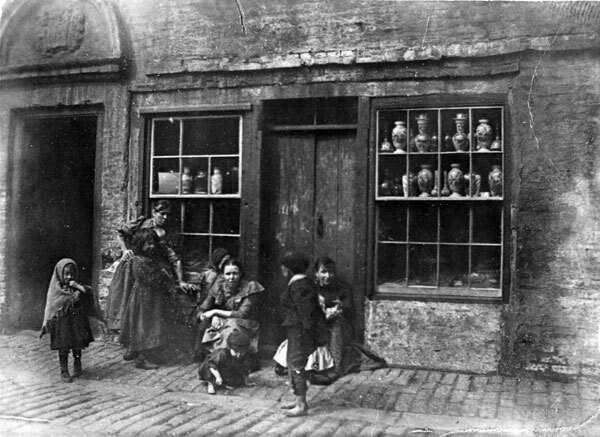 They occuped a house in Deer's Lane, a narrow alley off Tyne Street adjacent to the Graving Dock, north of the Market Place at the time of the census of 1841. Curiously for the history of subsequent unions of the families of the BLUE pages, their next door neighbours were George and Ann Farrow with their nine year old son, Robert Simpson ("The Simpsons: A century of printing in South Shields"). By 1851, Henry had died and Mary had moved with her mother and two siblings to a house in Coronation Street, which ran to the south of St Hilda's Church graveyard, past the glass works and Harton Colliery staithes to the Mill Dam. It was probably after this time that she met mariner Ephraim Meech. He had been born in the summer of 1831 in the village of Bothenhampton which lay just outside Bridport on the south Devon coast between Lyme Regis and Weymouth. They were married at St Hilda's Church, South Shields on August 15th 1857. Mary's first child was born in the spring of 1858. The baby was baptised Elizabeth Bainbridge Meech but she died in the summer the following year. Mary was already pregnant again when her infant died and gave birth to another daughter on December 18th 1859 which they named Mary Elizabeth. By 1861, the family had moved to a house at 7, Forster Street which lay north of the market square and a few yards inland from Deer's Lane. For much of the time, Ephraim continued to work offshore, mostly on colliers but occasionally on the Quebec packet out of Whitby. Mary had a third daughter, Jane Ann, in 1861 who died at the age of two years. Tragedy struck for Mary a second time in 1863. Ephraim was a member of the crew of the brig Auspicious skippered by Captain Parker which set sail from the Tyne with a cargo of coal, bound for Hamburg, Germany on March 28th that year. The vessel, weighing 241 tons was built in Sunderland in 1823 and belonged to M Cay and Co. of South Shields. Just before dawn on the morning of March 31st, the ship foundered on the rocks off Borkum island, which is situated in the estuary of the river Ems, near Emden, Lower Saxony, northwest Germany. It broke up in the heavy seas with the loss of all on board. One of the ship's boats was washed ashore empty on the island but no bodies were ever found. The incident was witnessed by Mr Yeoman, master of the brig Mora which was following the Auspicious and which was also lost. The storm-beaten billows that ceaselessly roll; Shall hide them forever from mortal control." Matthew Nessworthy and Mary Meech were married at St Mary's Church on April 27th 1867. He had arrived back from Rotterdam aboard Palladium just the previous day. The ceremony was witnessed by Robert Ramsdale, the husband of Mary's sister Ellen Bainbridge, and Mary Jane Ridley, the wife of Robert Ridley (the brother of Mary, Matthew's first wife). The parish of St Mary was created in 1864 from parts of St Hilda's and Holy Trinity parishes to cater for the expanding population of the area with the opening of a new dock facilities at Tyne Dock. The church itself was one of the last structures designed by noted local architect John Dobson (1787 - 1865). It had been built of stone in the Gothic style. It also housed a pipe organ by the celebrated German builder Heinrich Edmund Schulze. 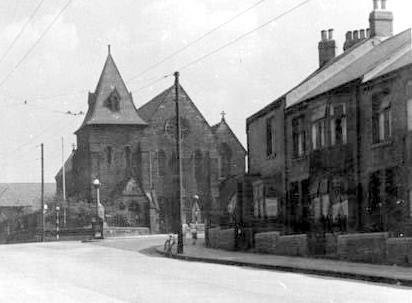 It stood at the corner of South Elsdon Street and Dean Road and was consecrated in 1862. 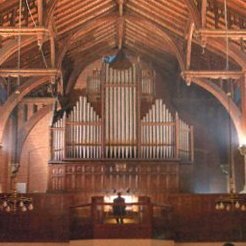 When the church was demolished in 1979, the organ was dismantled and installed at Ellesmere College, Shropshire. The first couple of years of their married life did not run smoothly. Matthew had returned to sea. 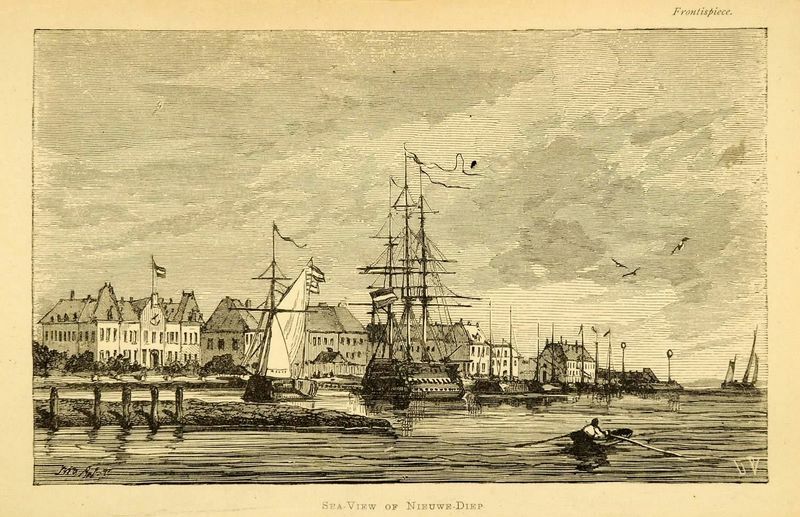 There are records of at least seven voyages of Palladium to the Dutch port of Nieuwe Dieppe between early May and the end of October 1867. The port was situated in the town of Den Helder at the tip of the northern peninsula and was the main point of disembarcation of cargoes for Amsterdam. The port had been built during the American War of Independence as an anchorage for warships. The channel between it and the south of the island of Texel, the Texel Roads, leading from the Zuyder Zee into the North Sea had long been a place of shelter for craft in inclement weather before making the journey to England. Each limb of the journey took four to six days with a lay over of one to five days abroad. This meant that Matthew was rarely at home for more than a few days at a time. Shortly after their marriage, Matthew moved the family into a house at 6, Garden Lane. This was the southern extension of Victoria Vale which was situated between the railway embankment and the gas works. Mary's younger sister by two years, Ellen Bainbridge, had married mariner Robert Ramsdale in 1860. They lived a couple of doors away at number 3. It appears that daughter Mary Elizabeth was encouraged to use Nessworthy as her adoptive surname. Almost immediately Mary discovered that she was pregnant. The child they named Helen was born on December 7th 1867 but died within 24 hours. Matthew was at home when she died. The cause of death was certified as 'imperfect respiration'. All this left his wife to look after Mary Elizabeth and her five young stepchildren on her own for long periods. The strains ultimately became intolerable as the following account shows. On Wednesday May 20th 1868 Matthew appeared before the bench at Exeter Guildhall (23). He was described as the "late master of a small tradingship of this port". His five young children had been found wandering and destitute in Princes Road in the city. It appeared that Mary "had sent the children down here but he could not account for her taking such an extraordinary proceeding". There is no evidence of how the children had travelled the 375 miles or so from South Shields to Devon. Matthew reported that his wife was still in Shields but "could not tell if he meant to live with her until he got back". He had no money with him and his ship had left without him whilst he made his appeal. He had fallen on hard times, and although he received one third of the ship's earnings it had only made £ 16 10s in the last three months. He applied for funds from the bench to allow him to get himself and his family home. He was given an advance of £ 3 from the poor box which he promised to repay when he got home even if he had to sell his furniture. 1872 proved to be another turbulent year for Mary. Her daughter Jane Ann proved to be a sickly child. In the spring, Mary discovered that she was pregnant again. As the summer proceeded, it became clear that she was bearing twins. In the summer, Jane Ann was striken with a diarrhoeal illness which lasted for several weeks. Then, on September 11th, the little girl died. She was just two years old. The registered cause of death was asthenia (a term which signifies a general body weakness and failure to thrive). Heavily pregnant by this time, Mary was assisted by her married sister Ellen Ramsdale who was with Jane Ann when she died and also recorded the death. The twins were born on November 25th 1872. Mary Ellen and Grace were baptised together on January 22nd 1873. Mary bore one more child: James Henry, who was born on February 7th 1875. By the spring of 1881, the family had moved again to a property in Wellington Street. Interestingly, their near neighbours (four doors away) were the family of James and Eleanor Templeman. James' parents and older brother, William, were still living at Marshall's Quay. The older Nessworthy children had all moved away by this time leaving Mary to look after the twins and young James. Matthew probably continued to seek work for he was again missing from the census return which was taken on the night of April 3rd. Little is known of Matthew and Mary over the next ten years but tragedy it seemed was never far away from the family. His son John (with Mary Ridley) joined the merchant marine as a fireman. He was lost at sea during a storm in March 1880. Matthew's second youngest son (also with Mary Ridley), Ambrose had married in 1886. His wife died within weeks of giving birth to a daughter, who also died the same year. With old age creeping up on him, Matthew took up more sedentary and temporary positions. In April 1891, he was serving as the night watchman on board the 564 ton sailing barque Mary Moore which was moored at Tyne Dock. It was under the captaincy of chief officer J. Maddox. When the census was taken that night, the only other crew member on board with Matthew was the mate, Elias John. Mary and her three youngest children continued to live at 19 Wellington Street, a house also occupied by two other families. Their near neighbours in one direction at number 26 were Elizabeth (wife of Robert Ridley Nessworthy) and her four children; whilst in the other direction at number 16 lived Robert Nessworthy (son of Robert Ridley and Elizabeth Nessworthy) with his wife Jane and two young sons. In the same block at number 13 was Barbara Templeman, now married to William Stephenson, and her brother Samuel. Also in the street was Elizabeth Templeman (now a 73 year old widow) with her married son John and his family. At the beginning of the decade Mary's health was failing. Although still living at home, she became mentally frail and increasingly dependent on her family members. Their daughter, Grace Ann Nessworthy married James Fox in February 1895. In the summer of that year Mary suffered a stroke which left her partly paralysed and subject to siezures. She finally died on August 7th 1895, Matthew was by her side. The cause of her death was registered as cerebral softening, convulsions, paralysis and exhaustion. Curiously Matthew was only able to 'make his mark' when registering her death. She was buried at the cemetery of St Stephens Church on August 11th 1895. The following year Matthew's son, James Henry Nessworthy, married Isabella Addison in June 1896. It soon became apparent that Matthew was incapable of looking after himself at home. 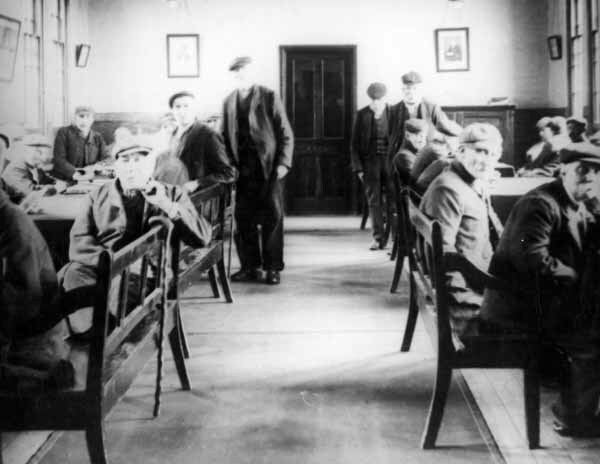 He was admitted to the South Shields Union Workhouse at Harton Lane on December 18th 1896. Remaining daughter, Mary Ellen Nessworthy, married Richard Gillow Campbell, in the summer of 1897. Matthew remained an in patient at Harton for just over six years. He finally died of a chronic urinary tract infection on February 14th 1903. His daughter Grace recorded his death. He was interred in grave 2297 of Section C of Harton Cemetery on February 18th 1903. The age recorded on his death certificate was 86 years. The saga continues with the stories of Matthew Nessworthy's children in the following section. The next article examines the offspring from his first marriage: The Nessworthys of Tyneside: Chapter 2. Brothers and Sisters. Part 1: The children of Matthew Nessworthy and Mary Ridley. There is a link to Part 2 (the children of Matthew Nessworthy and Mary Bainbridge) at the end of Part 1. There are links to the detailed histories of two pairs of his sons (Chapter 3: Robert Ridley and Ambrose; Chapter 4: William and Thomas Weightman) within the text. As well as the articles and source material indicated in the reference list below, we recommend the following web site and books for background reading. Note A. England's North East website is a library of articles about the places and people of the North East. Stretching from the border with Scotland to the edge of North Yorkshire, it covers the two ancient counties of Northumberland and Durham and their derivatives. There are sections on the turbulent history from the days of the Romans, through the Middle Ages to the present day and an in depth account of the major industries of the region including mining, shipbuilding and the railways. The site is piloted by David Simpson, historian, writer and broadcaster. 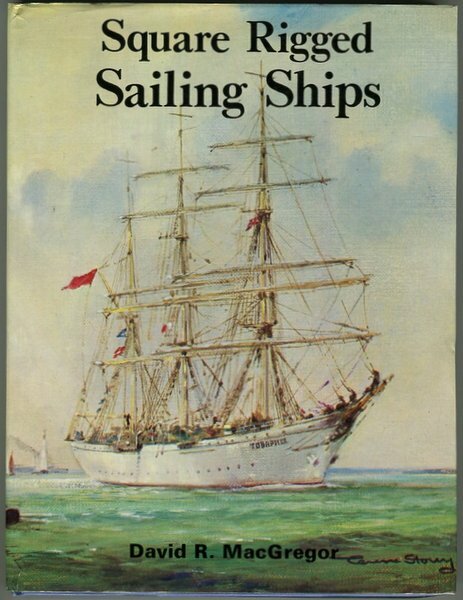 Notes B & C "Square Rigged Sailing Ships" (author) David R MacGregor, Argus Books Ltd, Watford, Herts 1977; "The Ship: The life and death of the Merchant Sailing Ship 1815-1965" (author) Basil Greenhill, The National Maritime Museum. Her Majesty's Stationary Office. London 1980. 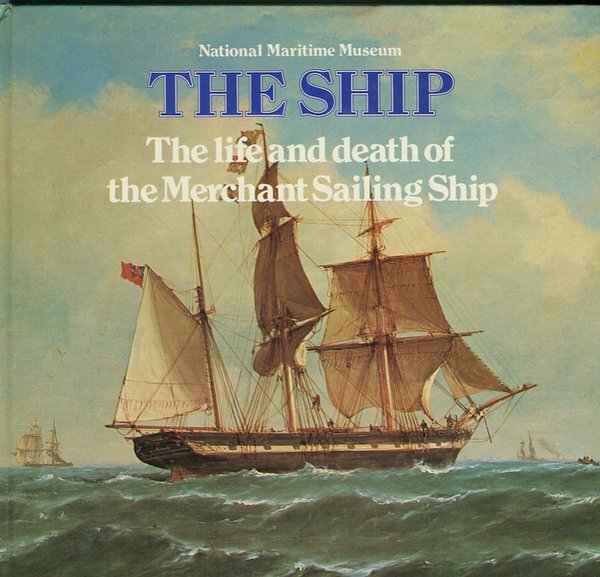 These two books give vivid and comprehensive accounts of the rise of Britain's merchant marine in the 18th and 19th centuries which was built upon the wooden sailing ship. Each is illustrated with archive photographs and plans of various types of vessel. There are accounts of the hardship and continual effort required for life on board for both short and long voyages as well as when in harbour. There are also discussions on the competition from and eventual capitulation to steam driven iron ships. Heinrich Edmund Schulze (1824 - 1878) was the last of five generations of the German family to build organs. He had constructed an organ at the Great Exhibition in 1851 at the invitation of Albert, the Prince Consort. Following its enthusiastic reception, Schulze received a number of commissions to build instruments in the north of England, including the new church of St Mary, Tyne Dock. The organ console was placed on a gallery below the rose window on the west wall of the church. It was operational by June 1864. History recounts that the organ was enlarged in 1874 but its mechanism started to suffer from the excessive damp of the building. This required a major overhaul in 1906. By 1979, with congregations diminishing and advanced dry rot in the timbers of the building, the church was condemned. The historic importance of the organ was immediately recognised (only three now remain) and a trust fund was established for its conservation. 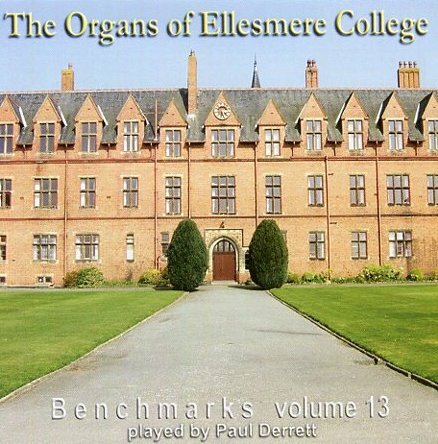 The secretary to the Diocese of Durham, a past pupil at Ellemere College in Shropshire, suggested that the great hall would be an ideal resting place for the organ. The organ was dismantled, cleaned and reassembled in its new home 200 miles away. The process took over two years. The environment is unusual in that this church organ is not in a church, it is in a school but not owned by the school. Although housed at Ellesmere College, its custodian is The St Mary's Tyne Dock Schulze Organ Trust which is a registered charity. Preservation and conservation are ongoing, for which there is an appeal for funding. The aim of the appeal is to maintain the sound of the organ to the way it was when Schulze built it. A video in aid of the appeal was filmed by Butterfly Films and published on Youtube in November 2013. This consists of an arrangement of 'I Vow To The My Country' by Gustav Holst and is played by Paul Russell, Custos of the Organ. It is a humbling and heart warming experience to imagine that these same sounds were the ones which Matthew Nessworthy heard when he walked down the aisle with Mary Bainbridge for their marriage a century and a half ago. If you have found this article inspiring and would like to donate to the organ appeal please contact Paul at the address above mentioning Matthew Nessworthy. The authors would like to express their thanks for the help, comments and suggestions from the following in the construction of this article: Del Groves, correspondent at TNG forums; Paul Russell The St. Mary Tyne Dock Schulze Organ Trust (Ellesmere College); Peter Searle The Sunderland Site; Contributors to the Durham, Northumberland and Occupational Interest Forums (including Philipsearching, Stanmapstone, Westoe) at RootsChat.Com. 6. 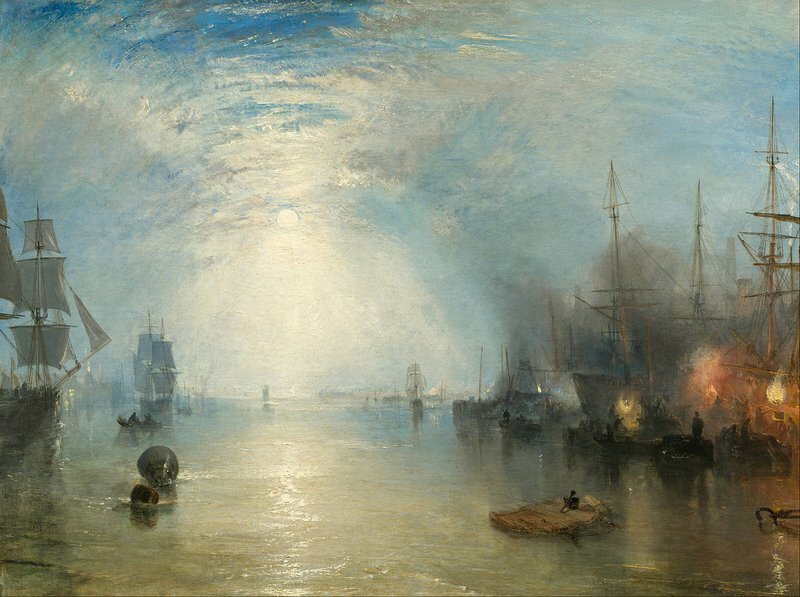 'Keelmen Hauling in Coals by Moonlight' - Joseph Mallord William Turner (1835) Google Art Project at Wikimedia Commons. 9. "The Snow "Mary Ann" calling for a pilot in two positions off Tynemouth" by John Scott (1802–1885) - Sotheby's. Licensed under Public domain via Wikimedia Commons. 12. 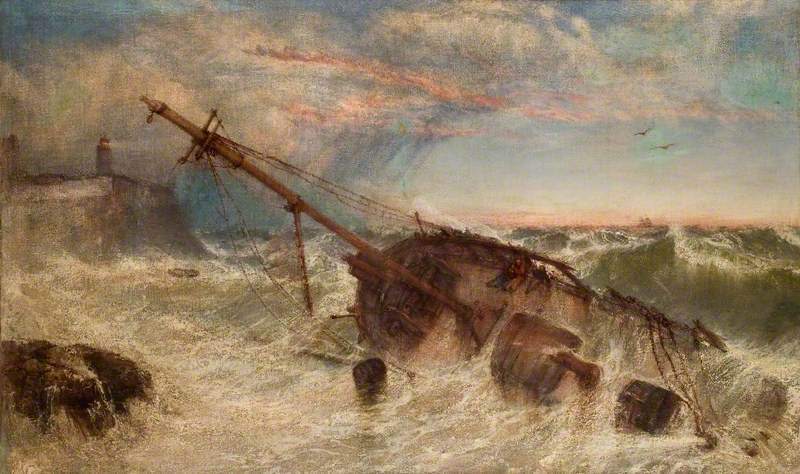 The Wreck: Painting (oil on board) by John Scott South Shields Museum and Art Gallery (Ref: TWCMS G5220). 21. 'Sea View of Nieuwe Diep': Wood engraving - artwork by M van Heemskerck van Beest: frontispiece in "The Dead Cities of the Zuyder Zee, a voyage to the picturesque side of Holland" Henry Havard. London 1876. 22. Imperfect Respiration Caring for the small and sick neonate.